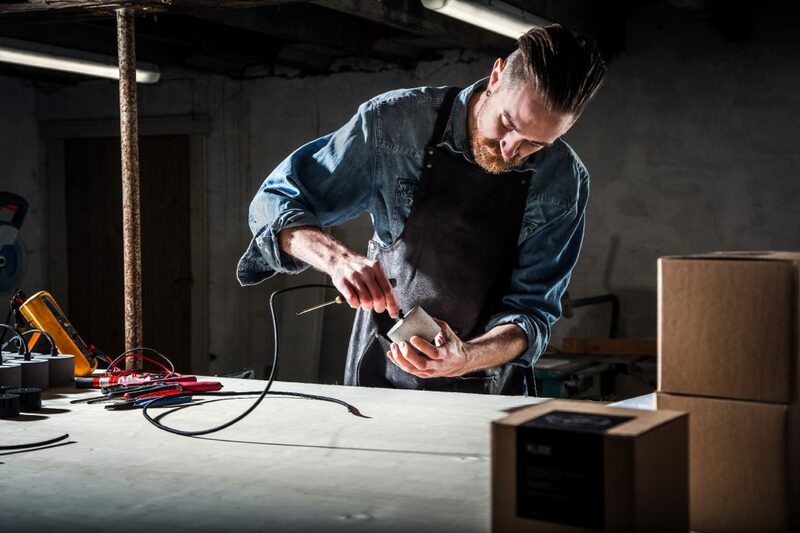 Steffen Soma is designer and founder of Lamp Shack. 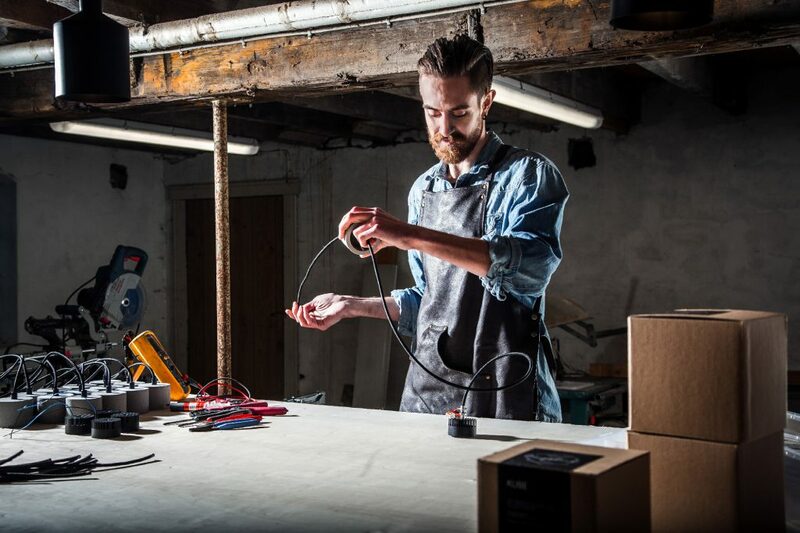 With a background from both electricity and handicrafts and a great interest in interior design and architecture, he started Norway’s smallest lamp factory to create his own legacy. The new fixtures KUBE and SYLINDER are examples of Steffen’s desire to create stylish, versatile products in beautiful natural materials. We stopped by to ask Steffen a little about how he works with design. Can you tell me about your background as a designer? I come from a family who work in the electrical and craft industries. This has inspired me to create something of my own and pass on to what I learned from my family. For about 7 years I have worked at one of Norway’s largest shopping centers, with emphasis on lighting. Planning, sales, installation and repair of lighting systems has characterized my everyday life as an electrician at Kvadrat Shopping Center in Sandnes. In my work I have developed the knowledge and interest in lighting. As a hobby, I have had an interest in 3D modeling for many years and design ranging from small parts to complete houses. When I started at Teknisk Fagskole, I became better at 3D and lighting. Something that gave me a good boost for being able to develop my own products and also produce them. Thanks to Optoga’s ingenious LED modules, it becomes much smoother. I can design compact luminaires and get better opportunities and virtually total freedom in the development of lamps. Minimalistic forms and Scandinavian design give me a lot of inspiration. Most of the design comes by itself. There are many luminaires similar to mine, but Lamp Shack’s products should be made of beautiful materials and be easy to install. From experience, I know that there are many design fittings that are complicated and time-consuming to assemble, and they often have many details in the design, which makes them not fit in all environments. I want Lamp Shack’s products to be stylish and easy to assemble. They should also be versatile. Having a minimalist and modern design makes the luminaire timeless and it can be used in many different environments. Together with the design, we use state-of-the-art LED technology from Optoga. This allows us to build the luminaire around the LED instead of vice versa. 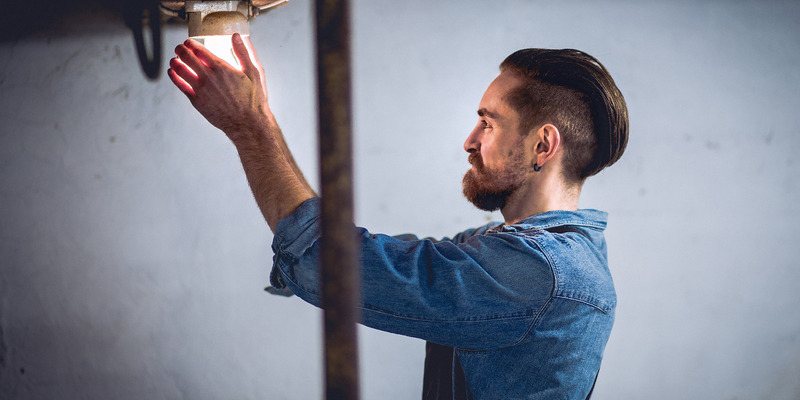 How do you start with a lighting design? When I start with a new design, it always starts with my own ideas. 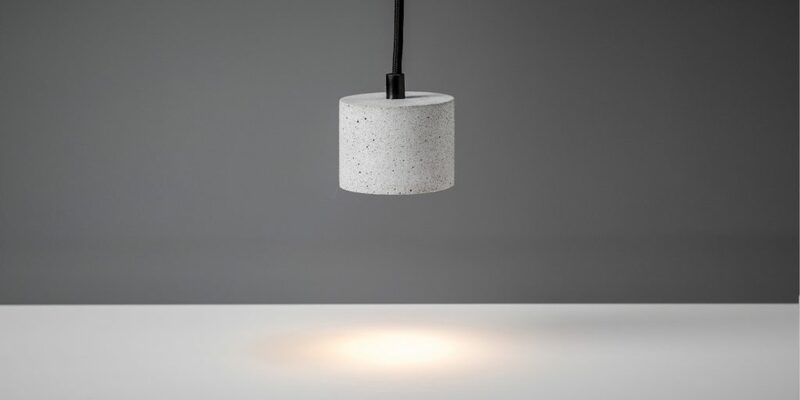 Either it is a lamp for your own use or to further build on an existing design series. When the design itself starts, we need an LED module that fits the luminaire I imagine, after which the cooling is designed. When it’s done we start with the visible parts, it can be the shade, the socket or the luminaire housing. So far, we have few products that are fully developed, much is on the drawing board. Our goal is to have a small range of products, but that they complement each other. Our luminaire will cover the need for both mood lighting and work lighting. For example, a floor lamp at the sofa should work as a mood lighting and a good reading lamp. How do you work practically? All parts of a fixture are sketched in 3D based on an idea. When all parts are finished, they are tested in an assembly in the 3D program. If all parts fit perfectly together, we will get a 3D printed model for a physical test. Then we test the assembly and get a realistic overview of how the design will look. If the design meets the expectations, we will develop prototypes in the material the luminaire should have. For example, it may be concrete, hardwood or aluminum. Then we design molds for concrete or reference for wood machine manufacture. In Norway’s smallest lamp factory we manufacture and assemble most parts for our fixtures by hand. I prefer to be close to my suppliers, one of our goals is to get suppliers who can deliver more of what we need. Today Optoga has a large selection of LED modules, covering all the needs we have for our luminaires today. Our suppliers should be updated on current requirements and laws for their products. It should be good and professional communication. We value if the supplier is interested in our products and projects, not just for economic reasons, but for learning and gathering knowledge for the development of new products that may be part of Lamp Shack in the future. 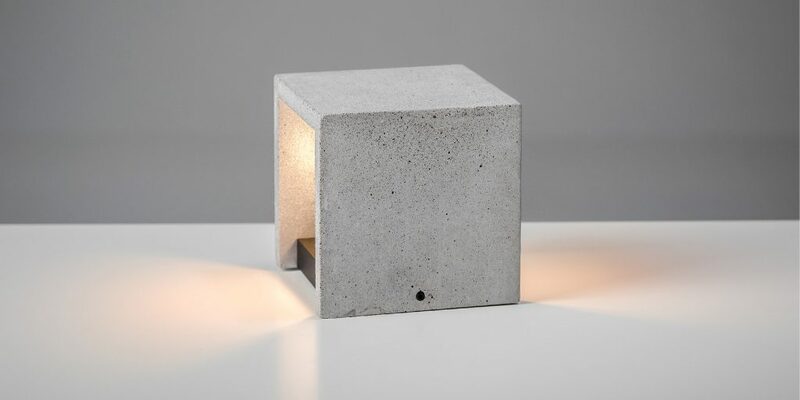 KUBE is the first lamp that all started with. 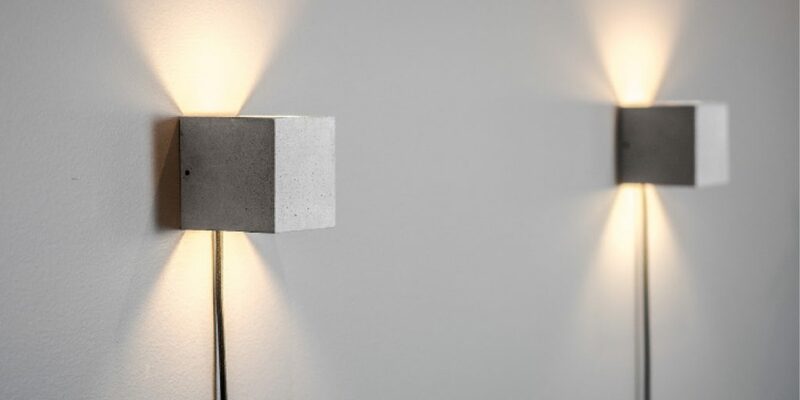 I wanted a wall lamp for my new house, but found nothing that stuck out of the crowd and at the same time had a clean and simple design. Then I developed KUBE. It is a stylish and modern wall fixture, with headlights and downlights. 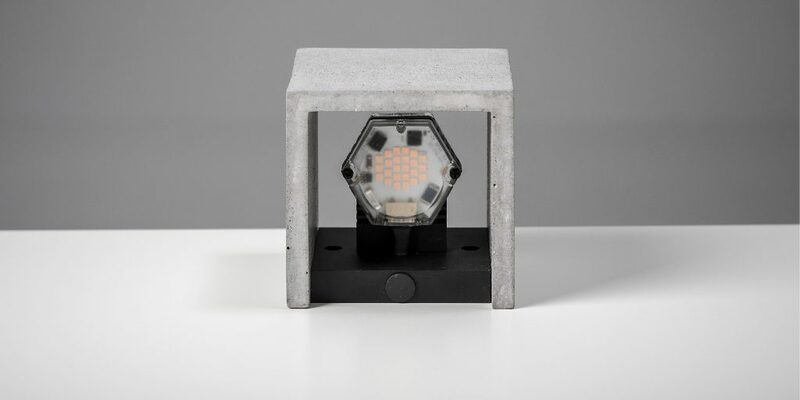 To satisfy the goal of our products being versatile, the luminaire is designed to fit over a standard power box with a hidden power supply, and fits perfectly with the box’s screw holes. 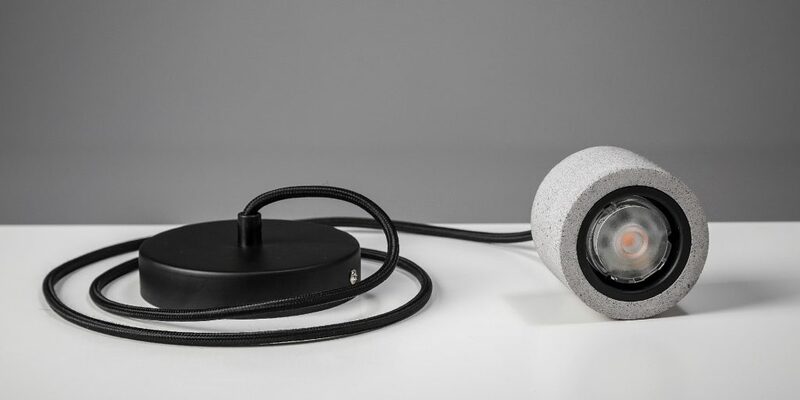 The luminaire can also be mounted directly on the wall, with a visible cable. It is also possible to use stronger LED-engines in the luminaire without changing the design. SYLINDER is a small compact luminaire that gives a lot of light. SYLINDER fits well for itself, but also in groups with several. The luminaire is primarily designed for use over dining tables, kitchen benches or stairs. Thanks to its compact design and powerful light flow, it fits well in many environments, it’s just the imagination that sets limits. We place high demands on our fixtures. It is a time-consuming and careful work because we use organic materials. No concrete mix is the other equal to 100% and no wooden plank has the same pattern as another. All parts are carefully inspected and controlled throughout the process. The concrete parts are hardend after they are cast and needs to dry after grinding and then rest for a while after the assembly before the luminaire is shipped to the customer. The electrical components have the highest requirements. All cables and connections are measured and documented before and after installation of the luminaire. Before the luminaire is packed, we power it up and test it with the switch and dimmer. We do this to ensure that customers receive a product that meets both the expectations and the requirements of electrical equipment.